Instantly navigate to a symbol's declaration or context usages, find your way through the code base with structure and hierarchical views. Add class members, override/implement functions, wrap a block of code with a statement, or generate a declaration from actual usage - all via simple keyboard shortcuts. Rename symbols, move members up/down the hierarchy, change function signature, and be sure CLion's automated refactorings will accurately propagate the appropriate changes throughout your code. ...and fixed as you type! Be sure all the proper changes are handled automatically by CLion. CLion also performs Data Flow analysis to find out all the cases of the unreachable code, infinite recursion and more. Investigate and solve problems with ease through CLion's friendly debugger user interface with GDB or LLDB (on OS X) available as a backend. Get the complete view of your project with variable values shown right in the editor as you debug. Inspect the state of all the variable for a chosen function in the stack frame, or monitor variable/expression changes during the debug session. Using CMake as a project model, CLion handles your changes in CMake files automatically, using all the information from there during code editing and refactorings. Popular VCS supported out of the box include Subversion, Git, GitHub, Mercurial, CVS, Perforce (via plugin), and TFS. CLion also seamlessly integrates with Google Test framework. Run any command without leaving the IDE: locally or remotely using the SSH protocol. Depending on your platform, you can work with a command line prompt, Far, powershell, bash, or other tools. To help you focus on code and raise your productivity, CLion has keyboard shortcuts for nearly all its features, actions and commands. 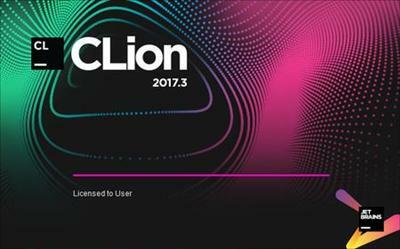 JetBrains CLion 2017.3.2 Build 173.4301.33 (x64) | 256.3 Mb download links are provided by Extabit Rapidshare Uploaded Rapidgator Netload Bitshare Freakshare Letitbit Dizzcloud and more.